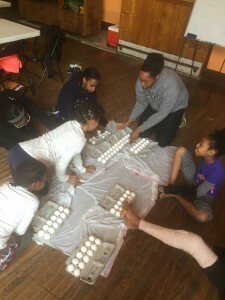 It’s all about science at the Saturday Ma’at program! We always start off with an hypothesis. 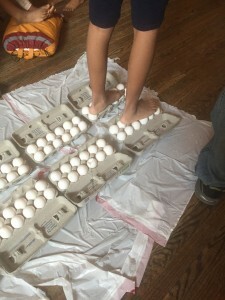 None of us believed that we could walk on eggs and not crush them. 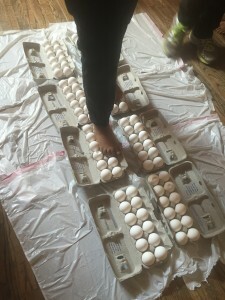 Mama Justine helps us understand the laws of physics with an activity that let us walk on eggs–literally!